When Doctor Who fans think of the program, one of two things immediately comes to mind…either it’s the image of the TARDIS—the Doctor’s time/space ship in the form of an old, blue police call box—or the iconic theme song that was written by Ron Grainer but given a life of its own by the brilliant Delia Derbyshire. Derbyshire earned a degree in mathematics and music from Girton College, Cambridge, in 1959. Upon graduating, she sought studio production work at Decca Records and was told the label did not hire women for work in the studio. She eventually went to work for the BBC in November 1960 as a program operations assistant before finally being assigned to the BBC Radiophonic Workshop in April 1962. The story goes that upon hearing the finished product, Grainer asked Derbyshire, “Did I really write this?” And she responded, “Most of it.” Grainer unsuccessfully lobbied to get Derbyshire a co-writing credit for the theme song, but the BBC insisted that members of the Radiophonic Workshop team remain anonymous. 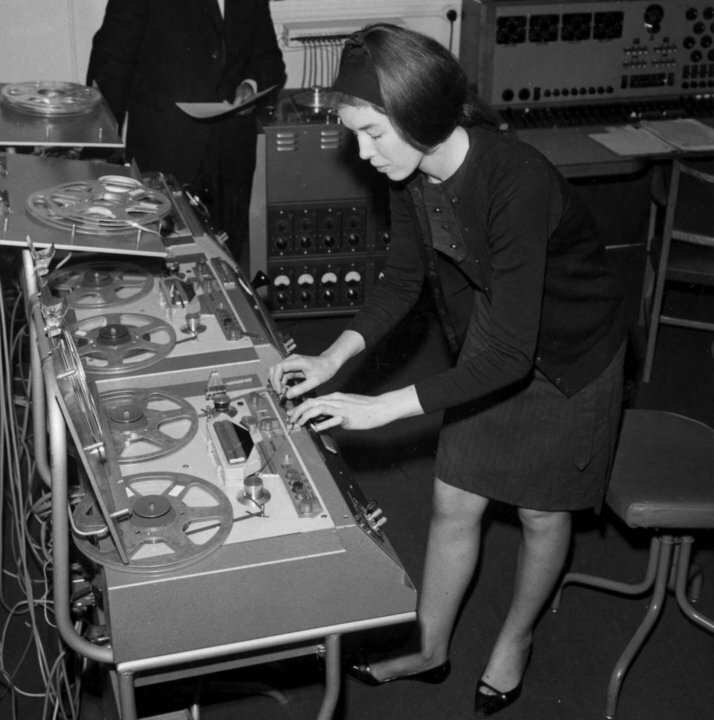 Although Derbyshire created a number of bumpers and themes for various BBC programs until she left the Radiophonic Workshop in 1973, she is best known for her work featured in “Doctor Who.” Shortly after leaving the Radiophonic Workshop, she essentially left electronic music behind. Amazingly, the widely reported story of why she drew back from the world of electronic music is that Derbyshire frowned upon the increasing use of synthesizers in her craft since it made it too easy…she felt electronic music should be handmade. By the early 2000s, however, electronic musician Peter Kember—aka Sonic Boom—had managed to draw Derbyshire back into electronic music, as she served as advisor and co-producer on two albums by Kember’s Experimental Audio Research (E.A.R.) project, 2000’s Vibrations and 2001’s Continuum. Sadly, as Derbyshire began to work on a new album of her own, she passed away at the age of 64 in 2001. Upon her death, 267 tapes of her experiments in electronic soundscapes and papers she had written were found in her attic and were entrusted to the BBC’s Mark Ayres. In 2007, these tapes and papers were given on permanent loan to the University of Manchester and a July 2008 BBC News story on these recordings includes samples from the lost Derbyshire tapes. One of the samples sounds like a dance track from the 1990s or 2000s, but was believed to have been recorded in the 1960s. That’s how ahead of her time she was. As Doctor Who celebrates its 50th anniversary, I believe a decent amount of credit for drawing people into the show is the iconic, unmistakable sound of Delia Derbyshire’s brilliant, electronic realization of Ron Grainer’s theme…and I just wanted to take some time this week to acknowledge her part in the longevity of Doctor Who. This list focuses on the modern era of electronic music as well the culture and aesthetic associated with this genre of music, which begins with krautrock, particularly Kraftwerk. Some important avant-garde and experimental classical works from the pre- and post-Kraftwerk eras are also included. Disco and funk for the most part were organic musical styles and mostly do not fit in with the definition of electronic music. Hip hop, on the other hand, shares some similar roots and stylings of electronic music, though it has its own distinctive culture and aesthetic. Criteria: – These Electronic/Dance songs are meant to be taken as a basic starting point for a greatest songs discussion. All these electronic/dance songs are crucial to know for full appreciation of the history of electronic/dance music. Songs are based on influence, popularity, and acclaim.